TruckGuru is the renowned name in the transportation sector. We are offering best-in-class and professional logistics services in Surat which satisfy our consumers and inspire them to hire our services again and again. We adopt the customer-centric and professional approach to provide our customers with a hassle-free and on time delivery of their consignment. 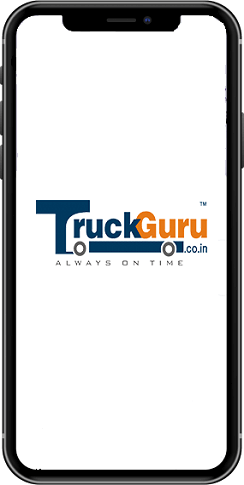 TruckGuru, the prominent transporter in Surat will aid you to book your consignment, arrange for pickup & delivery and efficiently handle the shipping documentation. We are driven to provide efficient and secure cargo handling services at Magdalla Port and Hazira Port in Surat. Professionalism is the soul of our company; Our advanced and quick transportation services reflect our experience and professionalism. 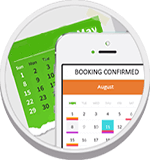 If you are looking for an efficient online truck booking company in Surat, you can trust us, we will work hard to meet your expectations and never let you down. Our round-the-clock customer support team is ready to serve you with the greatest loyalty, with any difficulties or queries you may have when you are moving to a new place. We, at TruckGuru, incessantly strive to keep our prices budget-friendly, so that our patrons get the benefit in every aspect of our transportation services. Varachha Road, Saroli, Udhna,Udhyaog Nagar, and Parvat Patiya are most the popular warehouse and industrial locations in Surat where we are helping our clients to handle loading & unloading and pick-up and delivery successfully. Rendering to the cargo and logistics demands of our customers in Surat airport, we are engaged in offering reliable and secure transport services with flawless connectivity using a dedicated navy of trucks. Our experienced professionals value our clients and understand their needs. We have developed a strong customer base across the country. We deliver fast, flawless and customer-centric transportation solutions.